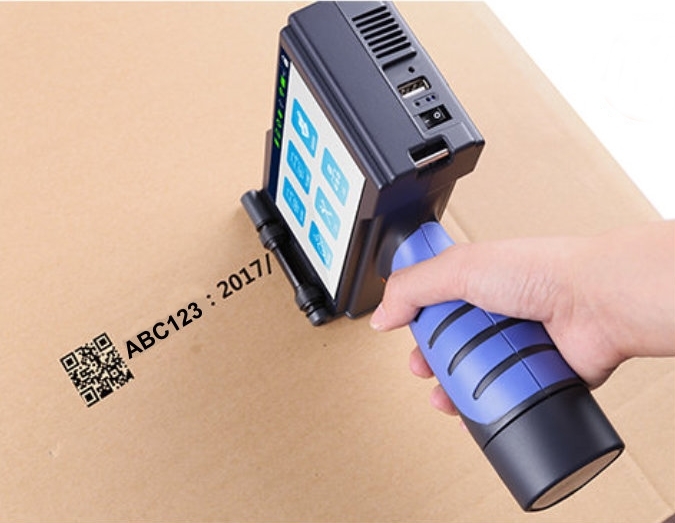 Handheld inkjet coder powered by high performance and capacity batteries for portability. Selectable Languages Chinese, English, Japanese, French, German, Spanish, Portuguese and Russian. Interchangeable Bottom Plates Choice of 4 wheel or 2 (optional) wheel operation. Technology HP TIJ2.5, utilizing HP driver board for reliability of printing quality. Dimensions (H*W*D): 218*79*152mm/ 8.3*3*6 inch. Power Supply AC 90V-240V/50-60HZ (Dedicated AC adaptor). 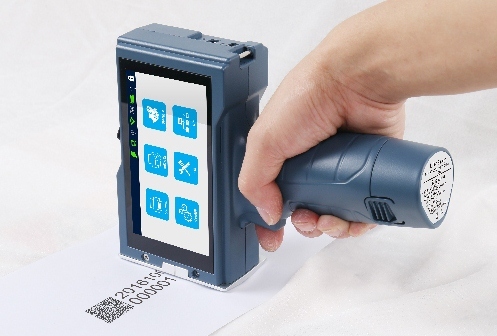 Interface 5inch 800*480 color LCD touch screen. Environment 1) Working Environment: -10°– +55°C; 10%-85% RH; 2) Storage Environment: -25°– +80°C; 10%-90% RH. Supports 42ml cartridges of HP TIJ2.5 technology.